The advertised amount of lift that this kit provides and the thickness of the spacers supplied will not be the same! 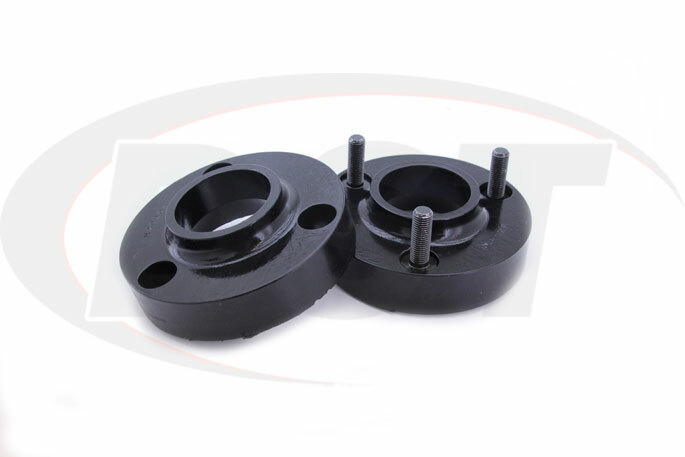 For example, a 2-1/2� lift may only have 1-1/2� thick spacers. The reason for the difference between the spacer thickness and the amount of lift has to do with suspension geometry. 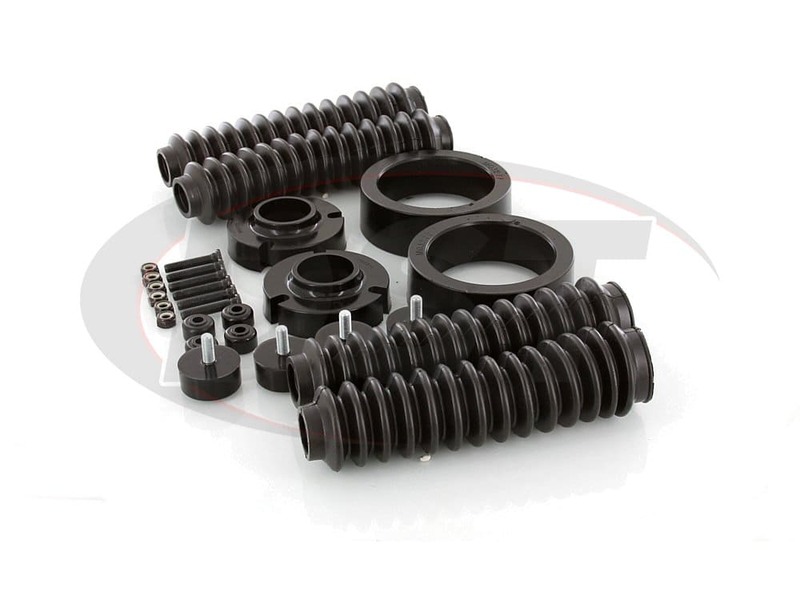 There is a ratio involved, and it is this ratio that determines the thickness of the spacers. 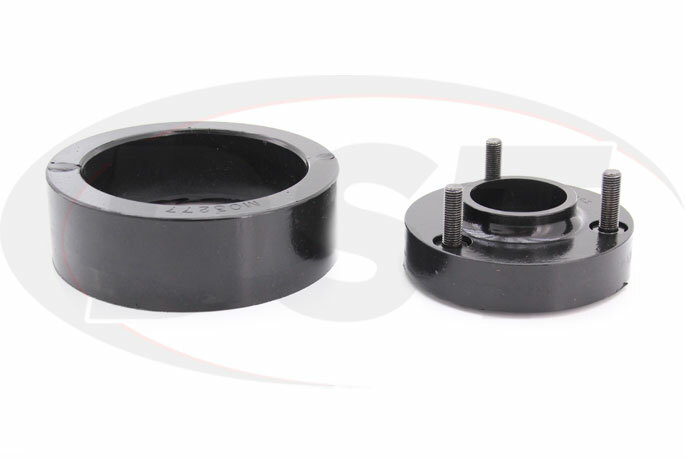 Rest assured, installing the spacer supplied will result in the proper amount of lift out at the wheel. 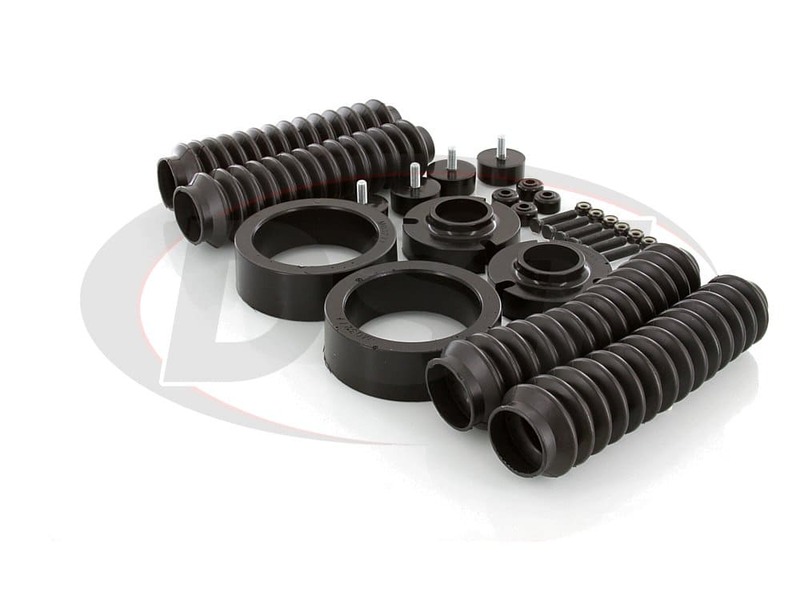 Daystar's lift and leveling kit will raise the front of your Toyota 4Runner 2WD/4WD 1.5 inches and a 1/2 inch in the rear, while minimally affecting your SUV's OEM. 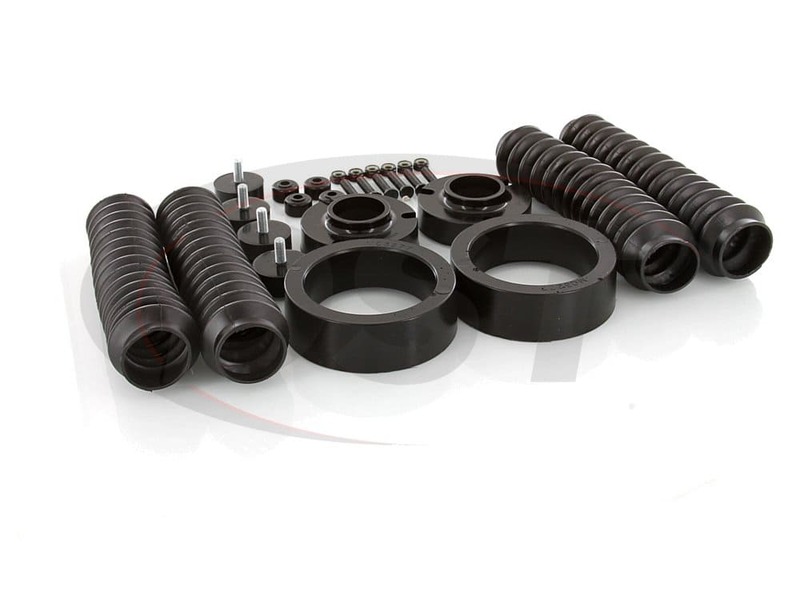 This kit has an easy install design, offers an improved ride, more ground clearance, and the ability to run larger tires, all while reducing Noise, Vibration, and Harshness (NVH). 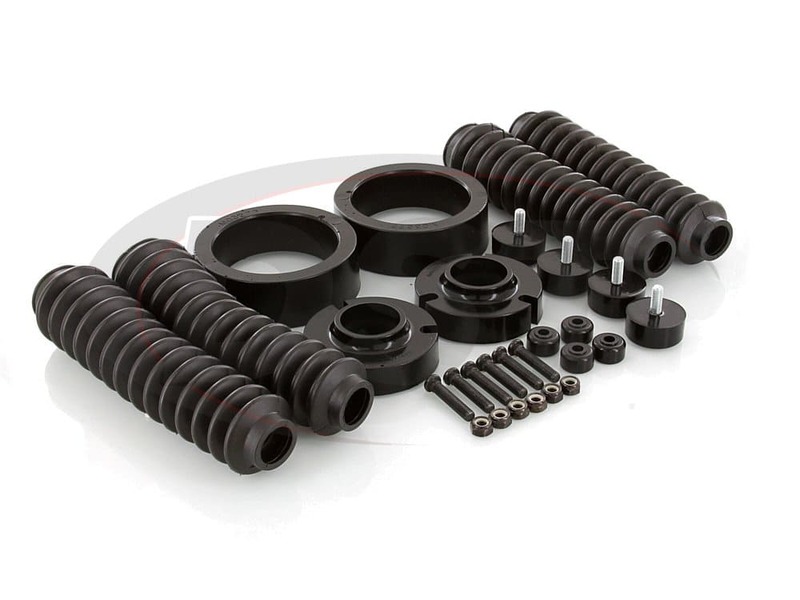 Made in the USA this kit will leave your 4Runner with no metal on metal contact which will help reduce NVH. 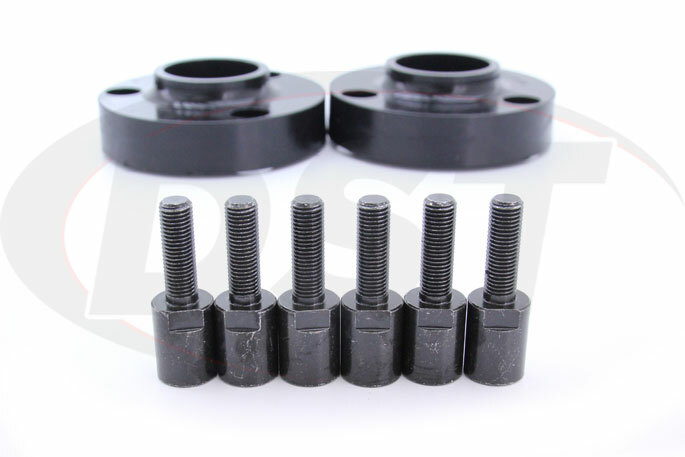 Daystar�s lift/leveling kit has a quick and easy install with no welding. KT09112BK also provides unbeatable ride quality, comfort and excellent articulation on the open trails. Did we mention bigger tires? Well, Daystar's Coil Spring Spacers will give you enough room under the cab for up to 32" tires, giving you a higher ground clearance. Levels & Lifts, Oh My! 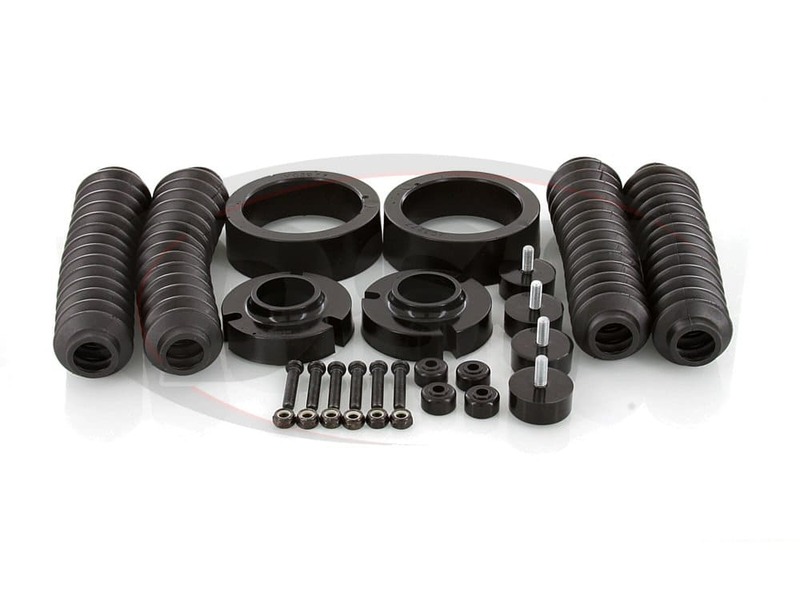 Leveling Kits are designed to correct the raked stance that your Jeep has, this is beneficial for larger tires or if you want to install a front winch or plow. A raked stance just means that the front of the vehicle sits lower than the rear to help keep it from bottoming out with heavy loads. Lift kits are designed to raise your SUV's ride height, giving you more room for larger tires and offering a higher ground clearance.  This can be accomplished a few different ways, but all lead to a much higher center of gravity. Whether you're looking for an excuse to get those larger tires or you wanting more clearance/traction out on the trails, Daystar's Lift/Leveling Kit for your Toyota 4Runner is just what you need. 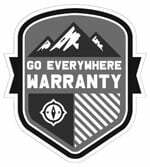 Daystar's Lifetime Warranty is backed by us, so you will never have to keep up with receipts or paperwork. If you have any questions don't hesitate to give our expert customer service team a call or shoot them a live chat right on the screen. 2-year review - parts still holding up fine. I want to install the 1 1/2 inch with the kt09112bk leveling kit on my 97 Toyota 4runner 2wd. Would I need to install new shocks after putting the leveling kit on? No, with Part Number kt09112bk will not extend your shocks but just sit on top of the springs. With a 1.5 leveling kit do I have to change the struts and shocks if so what do you recommend? No, you will not need to pay struts or shocks.